A federal judge on Tuesday formally declared Detroit bankrupt, a landmark ruling that clears the way for potentially sweeping cuts to city worker pensions and retirement benefits and for steep and possibly precedent-setting losses to the cash-strapped city's bond holders. The ruling by US Judge Steven Rhodes, who cited the city's dismal finances and $18 billion owed to a multitude of creditors in support of his decision, marks a watershed in the history of Detroit. Once known as the cradle of the US auto industry, the arsenal of democracy and the birthplace of Motown music, Detroit now adds an ignominious new title: largest bankrupt city in US history. Detroit's emergency manager, Kevyn Orr, in a news conference after the court hearing, said the city will seek to file a plan of readjustment -- the city's roadmap toward financial solvency -- by early January. He said negotiations are continuing with unions ‘even now,’ and called on all parties to bridge gaps to conclude Detroit's bankruptcy and move back toward fiscal stability. In a financial plan he had laid out prior to the bankruptcy filing, Orr had proposed offering unsecured creditors shares in a $2 billion note in exchange for $11 billion in unsecured debt. Orr declined to state on Tuesday whether that remains his plan, and also refused to say how much of a reduction he will seek from secured creditors. Rhodes, in his ruling that Detroit is eligible, accepted the city's contention that it is broke and that negotiations with its thousands of creditors were infeasible. That was enough to declare Detroit bankrupt under Chapter 9 of the federal bankruptcy code, Rhodes ruled. In a symbolic setback for the city, however, Rhodes found that Orr did not negotiate in good faith with creditors prior to the city's July 18 bankruptcy filing. "It is indeed a momentous day," Rhodes said as he read aloud for more than an hour from a written statement in a packed courtroom. "We have here a judicial finding that this once-proud and prosperous city cannot pay its debts. At the same time it has an opportunity for a fresh start. Rhodes also said the city could cut pensions as part of the restructuring, ruling against an argument that Michigan's constitution protects them from being slashed. However, Rhodes warned he will not rubber-stamp any pension cuts. His ruling encompassed fine points of law as well as broad observations about Detroit's fiscal health. He stated that his findings were informed by a breakdown in Detroit's public infrastructure and rising crime rate. Rhodes will also issue a written opinion on Wednesday, which he said is around 140 pages. Detroit is burdened by $18.5 billion in debt as it struggles to provide even the most basic services to 700,000 residents. About 40 per cent of the city's streetlights do not work and about 78,000 abandoned buildings litter the city, whose population peaked at 1.8 million in 1950. "The city no longer has the resources to provide its residents with basic police, fire and EMS services," Rhodes said. He noted the average police response time is 58 minutes, more than five times the national average of 11 minutes. "Without the protection of Chapter 9 the city will be forced to continue on the path it was on before this case," Rhodes said later in his ruling. The judge declined to stay the bankruptcy proceedings as potential appeals proceed through the courts. He also turned down an effort to allow any appeals of his ruling to go directly to the 6th Circuit US Court of Appeals. Rhodes declared that motions to appeal the case must first be filed in bankruptcy court. He previously stayed all state court action in the case. The American Federation of State, County and Municipal Employees Council 25 filed a notice of appeal of Rhodes' ruling in the bankruptcy court. The appeal, expected to be joined by the city's largest pension funds, claims the judge erred in ruling that federal bankruptcy law trumps public employee pension protections embedded in the Michigan Constitution. She also said that the city's retirees should not be treated the same as bondholders who performed due diligence and knew the risks of investing in Detroit while city workers were promised years ago that they would be relatively secure in retirement. Sharon Levine, attorney for the AFSCME union, said that any cuts to pensions for the city's retirees would be harmful, because the average city retiree receives $19,000 in annual pension benefits. Tuesday's ruling begins a new chapter in the case that first arrived in federal court with Detroit's July 18 bankruptcy petition. As emergency manager Orr works toward submitting a plan to readjust Detroit's more than $18 billion in debt -- to be accomplished chiefly by forcing creditors to take a discount on what the city owes them -- an appeals process will begin in the federal courts. To meet federal eligibility requirements, Detroit had to prove that it is insolvent, it was authorized to file for bankruptcy and that it negotiated with creditors in good faith or that negotiations were impractical. Orr, a former bankruptcy lawyer, was appointed in March by Michigan Governor Rick Snyder, a Republican. In his lead-up to the ruling, Rhodes offered a detailed analysis of key arguments made by the city's labor unions, retirees and pension funds opposed to the bankruptcy. He found that Chapter 9 of the federal bankruptcy code is constitutional and while Michigan's constitution protects public pension benefits as contracts, those contracts can be impaired in a municipal bankruptcy. Michigan Attorney General Bill Schuette, who has argued that pension rights are protected by the state constitution, said in a statement that he was ‘deeply disappointed’ by Rhodes' ruling that pensions could be diminished. Schuette said he will file amicus briefs with the court reaffirming his support for protecting pensions. Rhodes also found that the 2012 Michigan law that allowed the city to file for bankruptcy with the governor's authorization was constitutional. Before Orr filed for bankruptcy, he obtained approval from Governor Snyder. Despite ruling that the city met the test for bankruptcy, Rhodes found fault with how Orr proceeded toward the bankruptcy filing. The city should have more ‘openly and forthrightly’ discussed bankruptcy as a possibility to rectify Detroit's problems in the months and years leading up to the filing. A series of meetings and presentations the city held with creditors leading up to the filing did not meet the good-faith requirement, he said. 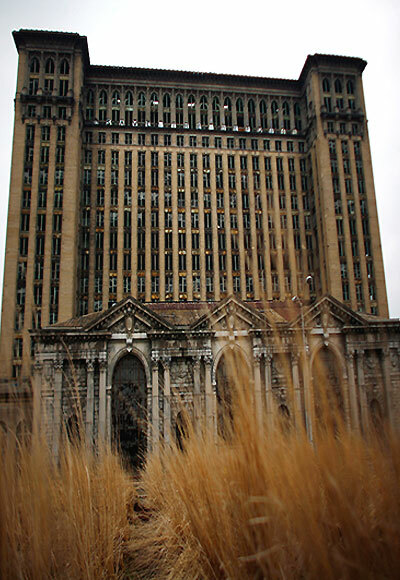 The city's financial troubles were so bad that Detroit's filing was inevitable, Rhodes said. "The court must conclude that the bankruptcy filing by the city of Detroit was a foregone conclusion during 2013, but waiting too long does not constitute bad faith," Rhodes said. The city acted in good faith when it ultimately filed its bankruptcy petition, largely because it was unfeasible for the city to negotiate with its thousands of creditors. Analysts, however, do not expect a rush of copycat bankruptcy filings by distressed municipalities given the arduous process of proving eligibility, although the ruling does provide something of a template that others may attempt to follow in time. "It could create more bankruptcies because it's a way to get out of pension contracts," said Richard Ciccarone, president of Merritt Research Services. "It more than likely will mean that hard-pressed, stressed credits with legacy liabilities will have to consider the option." With Rhodes' ruling in hand, attention now turns to Detroit's negotiations with creditors, retirees, unions and pension funds. Detroit says about half its liabilities stem from retiree benefits, with $5.7 billion in liabilities relating to retiree healthcare and another $3.5 billion from pensions. Likely cuts to retiree pensions and changes in healthcare benefits are at the heart of union concerns about Detroit's bankruptcy. And a separate issue, the future of the collection of the Detroit Institute of Arts, a prized city asset, has drawn attention inside Detroit and around the world. The museum includes paintings by Vincent van Gogh and Henri Matisse, an original cast of Auguste Rodin's "The Thinker," and a fresco mural by Mexican artist Diego Rivera. Orr, in remarks after Rhodes' ruling on Tuesday, said only about 500 pieces of the museum's collection might be affected by Detroit's bankruptcy. He declined to offer any details but said an announcement will be made soon. He also emphasised the need for the city to move on. "While we are very pleased, we remain very concerned to adjust the city's debt and improve the level of service for its citizens and to also prepare for the city to exit this receivership in a fashion that restores democracy to the city." Some critics of Orr have claimed his position is undemocratic because it leaves elected officials like Mayor Dave Bing and the city council without power to set policy or make binding decisions. Harold Schaitberger, general president of the International Association of Fire Fighters based in Washington, said, "Going forward, this is as much about politics and the priorities of public officials as it is about bankruptcy and the court." Schaitberger said that elected officials in the United States are expected to continue to "push for austerity no matter the cost to the lives of workers and public safety." Rhodes in announcing his ruling said asset sales or other one-time infusions of cash will not solve Detroit's long-term financial troubles. "A one-time infusion of cash, whether from an asset sale or borrowing, delays the inevitable," he said.